Copper Top is a local, family-owned and -operated, full-service chimney care company. At the start, we set out to treat our customers like part of our extended family and to make the fireside experience safer and more enjoyable for our neighbors throughout the greater Atlanta, Augusta, and Chattanooga areas. Although our name has changed, our goals haven’t. We continue to strive towards 100% customer satisfaction on each and every service call and to offer such excellent service that our customers come to think of us as part of their extended family as well. We think of our size as a blessing because it allows us to offer fair prices and honest service. Unlike many larger companies with quotas and agendas, we make recommendations based on what you truly need – not what we need to sell. Our size means low overhead, and our values mean honesty and integrity are a given. We truly care about our customers and are committed to only doing and recommending what’s best for each individual situation and family. But we’re not just here to take care of your chimney system from top to bottom – we’re also here to help you get the most enjoyment out of your system and keep it in tip-top shape between visits. Have questions about best burning practices? We can help! We’re here to answer any questions you may have about your chimney, fireplace, stove, or insert. Should we not be able to resolve your issue over the phone, we’ll gladly send a technician to your home at no cost to you. As a company, we’re committed to making a difference in our community by heightening awareness of fire safety issues and reducing the risk of house fire through professional and thorough services. Our commitment to each and every customer has earned us over 20 Angie’s List Super Service Awards, as well as multiple HomeAdvisor awards. Service is at the heart of every job we perform, whether large or small – we want you to be happy when we leave your home! Our goal is to provide quality service to our neighbors throughout areas of both Georgia and Tennessee. Whether you’re in Atlanta, Augusta, Chattanooga, Dalton, Canton, Marietta, Douglasville, Fayetteville, or Cleveland, we’re here to help. See our extensive service area here. If you’re looking for a fully licensed and insured chimney care professional to help you enjoy a safer, cleaner, more efficient chimney and fireplace, look no further than Copper Top. We’re committed to making your life easier and safer! Call us at 770-944-1200 or request an appointment online! 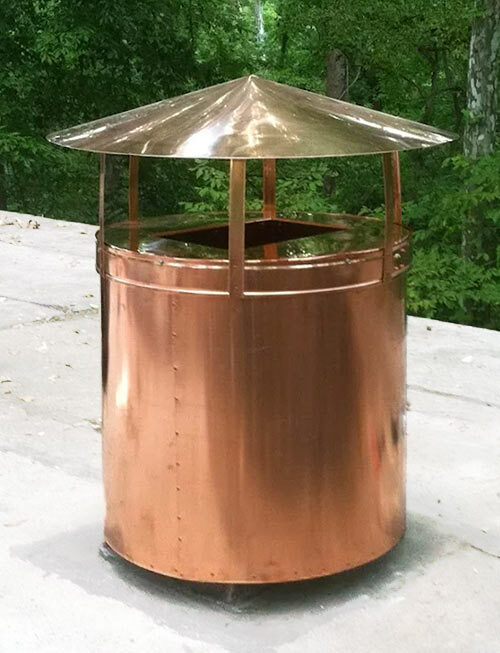 Relying on Copper Top for all your chimney and fireplace services will ensure that you can enjoy safer and more comfortable fireside experiences.